Jocelyn Sampedro, Nurse Practitioner, received her Master of Science in Nursing degree and her Nurse Practitioner degree from California State University of Los Angeles. 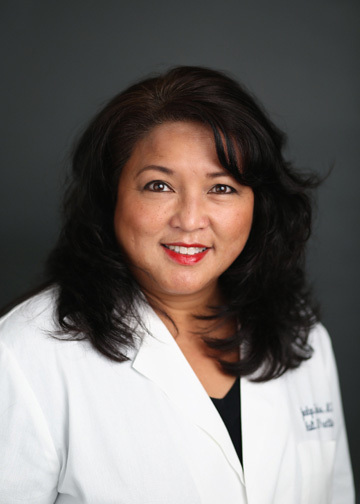 Jocelyn has also had several years of experience working as a Critical Care Nurse at Beverly Hospital Medical Center, La Mirada, and Downey Regional Medical Center. She has been working as a Nurse Practitioner for Cardiovascular Medical Associates since 1999. – Provide nursing and medical services to individuals, families, and groups emphasizing health promotion and disease prevention, as well as the management of acute and chronic diseases. – Provide health services independently and in collaboration with physicians. – Manage patients in Coumadin and Pacemaker clinic. – Developed and implemented in conjunction with the patient’s family, significant other, and physician multidisciplinary care plans in order to meet the needs of the client.